Did negligent security contribute to this senseless Cherokee County shooting and the death of Montreal Jordan McMullins and are justice and compensation available to the victim’s family? 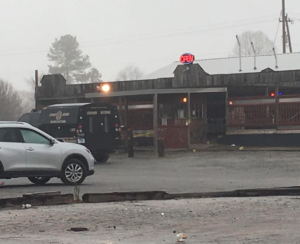 Security measures are under scrutiny after a 23-year-old man was shot and killed at a Cherokee County Night Club early Saturday morning, January 19, 2019. FOXCarolina reports, “Several people and vehicles were struck by gunfire.” Montreal Jordan McMullins passed away as a result of the shooting. The surviving victims were transported to area hospitals. Their identities and current conditions have not been released. Night club patrons have a right to feel safe and secure while on the premises. The Murray Law Firm questions the level of security provided at the night club and whether this shooting may have been prevented. Generally, property owners are required to protect all those legally on the premises from any foreseeable harm. Should the facts of this matter reveal that the bar owner failed to provide adequate security to protect those on its premises, Montreal Jordan McMullins’ family may seek justice and elect to pursue legal claims for his wrongful death. Additionally, the surviving victims of this shooting may pursue legal claims for their injuries.